As part of Mozilla’s ongoing efforts to make VR a first-class citizen on the web, the company today announced Hubs, a WebVR-based social experience which makes for effortless, one-click creation of virtual spaces which anyone can join—from smartphones desktop browsers to VR headsets—directly from the browser. The approach removes a heap of barriers that traditionally stand between two people and a face-to-face conversation in VR. 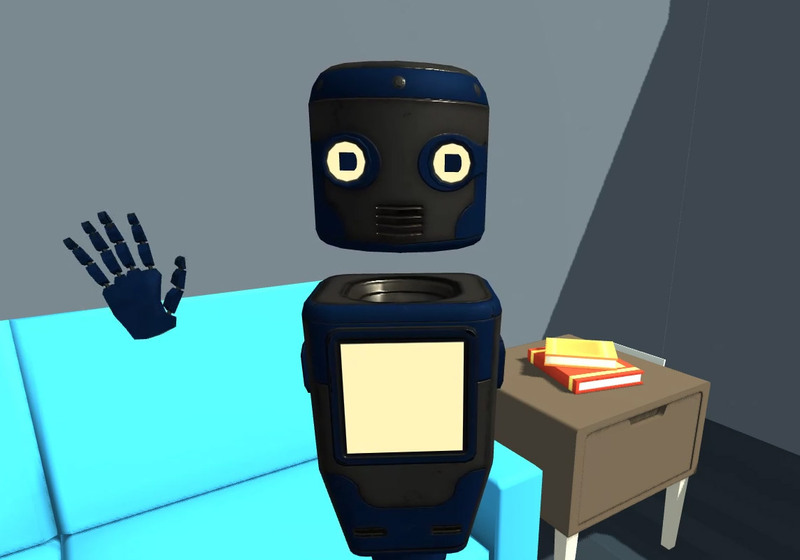 Remote presence is one of VR’s greatest strengths. Video chatting has been widespread for more than a decade now, and while it’s a nice way to see the person you’re talking to, it doesn’t feel like you’re actually in the same room with them, not to mention that ‘interacting’ in such a context amounts to little more than sending files or links back and forth to each other. In VR, your sense of actually being in the same room as the other person is much more pronounced, and interactions happen by means of manipulating objects naturally with your hands, using gestures and tools to communicate ideas in ways much closer to face-to-face communication in real life. There’s also the all-important unspoken body language which comes through much more clearly in VR, especially as it relates to the way that group conversations often rely on nonverbal cues to pass the baton of the ‘active speaker’ from one person to the next. It’s a cumbersome process and, for people who aren’t VR savvy, it tends to be more trouble than it’s worth for a quick 30 minute chat with a business acquaintance, even if they have a VR headset close at hand. Hubs is Mozilla’s WebVR-based social platform (which they’ve released as an “experiment” for now), that allows you to create a virtual chat room literally in seconds.Once you’ve made the room you can share it with others by sending them your room’s URL; when someone clicks the link, they are brought directly into your room, allowing you to very quickly start a conversation. And this all happens inside of your existing browser, with no need to download new apps or make a new account. The beauty of WebVR means that this works across any browser, whether it’s on a smartphone, tablet, laptop, or desktop. And if you’re using a browser that supports WebVR out of the box then you’ll be able to join the room with a range of VR headsets. No matter which device, or which combination of devices are connected to the room, everyone can see each other, voice chat, and interact. Performance wise, Hubs feels like pretty much any other social VR app one has used, and fully supports all the stuff you’d expect, like hand input, locomotion, and direct object interaction. And while the platform’s feature set is limited in this experimental phase, the company has demonstrated a strong foundation, with a unique advantage, that it intends to build upon.